Welcome to Love Orkney Tours a family business started in 2018. We provide private bespoke tours for our guests. 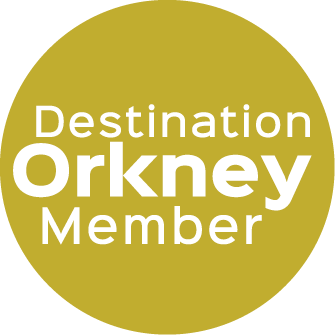 We are accredited by the STGA (Scottish Tourist Guide Association) as green badge guides for Orkney. With over 5000 years of human history on these islands there are many relics of the distant past and nearer present to be explored, standing monoliths and stone age settlements to towering turbines of the present renewable energy age. Throw into the mix Vikings, Scottish rule, the Hudson Bay Company, herring fleets, World Wars, distilleries, breweries and an Arctic Explorer, its hard to know where to start and where to finish. We would be delighted to guide you through the times. They can be combined for larger groups. Half day, full day or multi day tours are available. Scenic drive past Scapa Flow to Unstan cairn, a 5000 year old stalled tomb, entry via a low entrance and short tunnel if you wish to explore. Ring of Brodgar large stone circle a few hundred years younger than Stenness. Pathways may be restricted according to foot flow. Skara Brae, stone age/neolithic buildings uncovered by a storm in 1850. Very well preserved stone age village. Lunch stop (booked in advance) or packed lunch may be arranged with notice. Shopping if wanted in Kirkwall. These are examples, we are able to build your itinerary to your specification. Its YOUR tour.